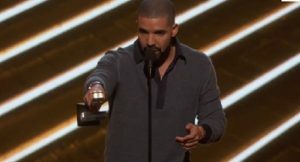 The Billboard Music Awards were held in Las Vegas on Sunday (May 21) and Drake topped Adele’s previous record of 12 Billboard wins in a single night, taking home 13 awards. Among his wins were Top Billboard 200 Album, Top Male Artist, and the night’s biggest honor, Top Artist. Other show highlights included Cher receiving the Icon Award for her life achievement in music.